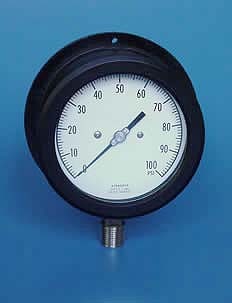 Acragage® Process Gauge Series 1500 (B) - Gauges and Diaphragms | Texas Valves & Instruments, LLC. The Acragage® 1500 Series process gauges are extremely rugged and accurate, and are designed to meet the most precise requirements of the process industry. It is available in two general configurations, A and B. Dial Size: 4.5" or 6"